As with any investment venture, turnkey real estate can bring in lots of money, but only if you’re savvy about it. Read on to learn everything you need to know about investing in turnkey properties. If you want to invest in real estate as a passive investor, you should learn about turnkey properties. When you buy a turnkey property, you go into business immediately. You don’t hunt for foreclosures to buy. You don’t remodel a property to make it liveable. It’s ready to rent. 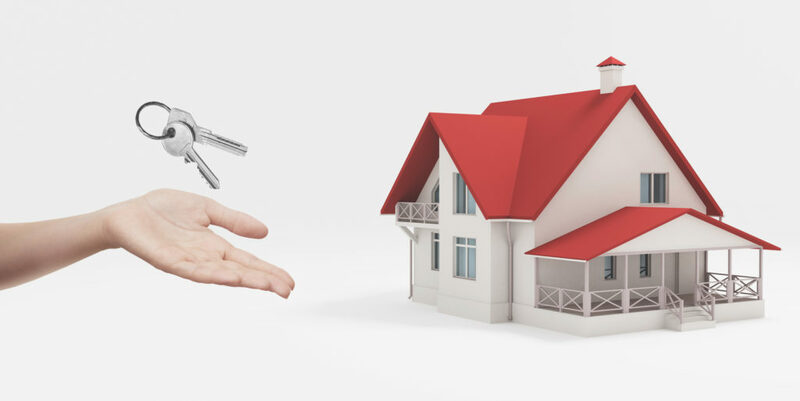 The term “turnkey” comes from the idea that the only thing necessary is to turn the key and unlock the door to start. That’s an appealing proposition for an investor. Yet, not all people define turnkey in the same way. That’s why it’s important to understand turnkey investing before you spend your money. Keep reading for information to help you make smart investment choices. How Does Turnkey Real Estate Investing Work? As the housing market continues to improve, firms specializing in the turnkey real estate are rehabbing properties to sell to investors. They renovate properties before they’re even listed for sale. Often, there’s someone renting the space when it’s sold. This works because many investors want to buy properties that don’t need to time or effort to rent. Sometimes, the same company that renovated the property also serves as property manager for the investor. The property management services include dealing with renters and repairs. Turnkey investing appeals to investors who live in expensive housing markets. When they can’t find affordable properties in their own area, they buy units somewhere less expensive. For example, an investor in New York City may buy rental buildings in small towns far from the city to generate cash flow. So far turnkey investment sounds easy, doesn’t it? But it’s more complicated than buying units and collecting cash. Let’s dig deeper. Are you going to invest in commercial real estate or single family homes? There are pros and cons for both types of property. However, each type of property requires careful evaluation. While it’s true a turnkey home takes less effort than other options, you should invest your time in research before you buy. The first question should be whether the property is a good value. Don’t assume the seller defines turnkey the same way you do. Not all homes labeled turnkey are worth the asking price. You should visit the house or apartment building before purchase. Don’t rely on photos or descriptions. Treat the transaction as the major investment it is. See the property in person, so you know exactly what you’re getting. A personal visit to the property lets you assess the building and the neighborhood. The location is a significant part of the appeal. A beautiful property in a terrible location may not be rentable. When you hire a property management company, you trust them to do a good job. The property manager should listen to tenants and handle problems quickly and efficiently. A good property manager keeps your building filled with tenants. A bad property manager doesn’t handle problems — from plumbing to tenants — before they get worse. Research the property management firm. Ask for referrals from other investors. Visit other properties the firm manages. Get answers to the following questions before you hire anyone. How Long has the Property Manager Been in Business? You want an experienced operator with a solid track record. An inexperienced company is practicing with your money. That’s not what to pay for their learning curve. Always check how long the company has been in business. Check on the company selling the property, and well as the property manager. Does the Firm Have Experience Handling Similar Property? Find an experienced property manager who has done what you want to do. Ideally, the company you hire has a portfolio of rental property. This shows they have firsthand experience and know how to succeed. Property management is more than buying a building and renting it. You need to invest in the right neighborhoods, at a profitable price point. Renovations must match what renters in the area want. Hire a property management firm with similar properties in the same area. Will you Receive Monthly Statements to Track Expenses and Income? Does the company have up-to-date software for the property manager and renovation team? Will you receive accurate and timely reports? If the management company doesn’t have the right software and systems, they won’t be able to serve you. How Long Does it Typically Take to Find a New Tenant? There are no guarantees in real estate investment, but there are parameters. An experienced property manager will know how long it takes to rent a unit. Make sure your property manager follows best practices, like tenant screening. A tenant screening report can take a few minutes or a few days. It depends on the information requested, and the screening company. Some screening companies offer accelerated reports for an added fee. All reports should include character references, rental background, and employment. Work with your property manager to pick your tenant criteria. If you buy a property in a good market near jobs, people will rent your units. The fees should be clear and provided up front. Period. If fees are based on market rents, be aware there’s always a range. A property manager may say the unit will rent for $1,000 a month. However, you should always have a low and high estimate of rent. Local variables can affect the rental price you get. Meet in person, tour other properties the firm manages, and get client referrals. Do this before you sign an agreement with the property management company. Consider reading Investopedia’s Guide to Hiring A Property Manager for more information. Most turnkey real estate companies sell the home outright. But, some may want to create a limited liability company or corporation. Then, they ask to become a general partner, so the turnkey company is on the property title. The reasoning is if they’re on the title they can make repairs without approval. It sounds good in theory, but it’s wiser to create a separate expense account. The property manager can use it for minor repairs and preventative maintenance. Keep your name as the sole owner on the property title. Turnkey properties sound like an easy way to earn extra revenue. But, real estate investing isn’t for everyone. It’s important to realize there are pros and cons. There’s always a chance for problems. Fire or natural disaster can damage property. The city may have a sudden property tax increase. Real estate investors need to deal with surprises. Sometimes that means having extra cash on hand for repairs. It’s also important to look at turnkey properties as a long-term investment. If you aren’t ready to commit for years, you may want to invest elsewhere. Plus, real estate isn’t as liquid as other investments. It can take a long time to sell a property. Real estate can be a very profitable investment. In most cases, it involves a lot of work. Rental properties require money, time, and renovation skills. Then, after the property is ready to rent, you have to find tenants and manage everything. You can definitely make money, but you have to work hard for it. Turnkey properties are a good alternative for people who don’t have the time to renovate or maintain a property. The tenant-ready units appeal to people who want to invest without being the landlord. High Return Real Estate makes the investment process simple, profitable, and convenient. Contact them to learn more about turnkey rental properties in Indianapolis. When you invest in a turnkey property, you’ll pay a premium for homes in move-in condition. The potential profit won’t be as high as for people who flip older units themselves. You also pay someone to manage the property. Yet, successful turnkey buyers can generate substantial profits. When you invest with an experienced turnkey company, you benefit from their knowledge. An established firm offers networking, experience, and valuable resources. They’ll show you how to get the benefits of a profitable real estate investment without the expensive and time-consuming parts. They do all the work so investors can enjoy a lucrative passive income. Are you looking for more ways to generate income? Visit our blog for more money and business hacks. Leave us a comment if you have any ideas.